Energy Efficiency and Building Science (EEBS) is a news consolidating service supported through the sponsorship of the Applied Building Technology Group (ABTG). ABTG’s mission is to provide a repository for reference documents, educational programs, CAD details, calculators and more, founded on sound science and professional engineering. The EEBS goal is to create a forum for exchanging building envelope performance information, good or bad. Given the evolving energy code requirements, continuous insulation products and entire product lines are innovating quickly including OSB composites, plastics, mineral fiber, spray foam, foam sheathing and beyond. And, while building science can appear to be quite complicated, one of our primary objectives is to provide concise, accurate information in a way that allows readers to understand and evaluate it for themselves. This leads to critical thinking and, inevitably, innovative solutions are the result. The intent of EEBS is to foster a robust and cost-effective pathway to information, where independent building science and related engineering work is published. We have always believed good intelligence gathering and the advancement of knowledge, via debate and discernment, is the only true power any organization has. These are the principles behind the emails that wear the CI badge. 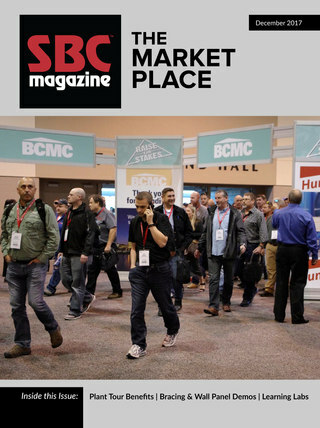 SBC Magazine has been honored to have an on-going relationship with ABTG. 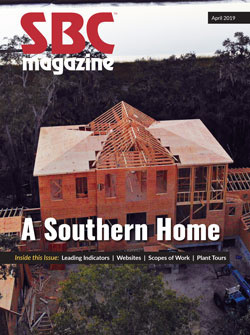 ABTG and SBC Magazine share the same passion, which is to ensure that the community of architects, engineers, builders and framers have information that they need to assess a wide variety of roof, wall, floor and foundation structural framing and building envelope issues and solutions. Both ABTG and SBCA provide “open source” research so that the information is easy to use, can be debated as needed and is known as dependable reference material. As always, we appreciate any perspective or new ideas our readers desire to share. This can take many forms, from writing articles or providing us with unknown research reports, to suggesting or providing articles on new products, all of which helps everyone grow professionally. EEBS seeks to continually improve the value provided, and the best way to do that is to listen to the marketplace and find ways to disseminate information that will reduce pain points. We sincerely appreciate everyone that chooses to engage with EEBS and will always strive to provide science-based, factual information in this forum. We also encourage our readers to connect with us directly with any question, comments or concerns. Finally, should there be other sponsors that are interested in advancing these concepts, please contact Molly Butz. There are many ways to collaborate in serving this innovative and valuable market. If you would like to review and subscribe to our other industry communications, please review your subscription preferences to update the types of content you would like to receive. Should you wish to stop receiving Energy Efficiency & Building Science News, please send us an email, and we will remove your email address from our distribution list.